The Philokalia, that wonderful collection of writings by the fathers on prayer of the heart, has as its full title, The Philokalia of the Neptic Saints gathered from our Holy Theophoric Fathers, through which, by means of the philosophy of ascetic practice and contemplation, the intellect is purified, illumined, and made perfect. Little wonder it is known popularly as the Philokalia. That word, Philokalia, means “the love of beautiful things.” It is not a reference to expensive, decorative items, but to the things which are made beautiful by their union with God. All things are beautiful inasmuch as they are united to God, Who is Beauty itself. I’ve always wondered about this. Did the Buddha counsel the cessation of those passions which are “positive” and “well-ordered” (i.e. charity, hope, compassion, joy, etc.)? Not sure. I’ve always thought that Buddhist practice was freedom from all desire. From what I have studied and heard from practicing Buddhists, the path of Buddhism is indeed to be free of every desire because even that which we call good is an illusion of matter. Buddhism is quite dualistic. It can’t really be called gnostic, because even knowledge is a desire that one must be freed from. Ultimately it is the extinction of the personal and concomitant release into the unified, impersonal oneness which is sometimes described as the void. Buddhists would have great difficulty accepting a God who is person. It is nonsensical to them to have a God who would volutarily descend into the illusion of matter and the illusion of person, let alone a God who is a person. Buddhist ascesis, irrespective of its outward similarities to hesychasm, has a different motif, a different starting point and a very different end to it. “It is a conversation between drunks”. Lord have mercy. A keen insight. I’ve had to back away from political and over-zealous theological conversations a bit as I find myself getting way to wrapped up and carried away with the pontificating, anger and mistrust. Thanks also for that prayer St. Isaac of Syria. Is that the entirety of it? To me, it would be difficult to adopt the monk’s life as a life-long way of life in view of this text. Maybe as a temporary retreat, but not for one’s entire life. How could one be salt and light while shut up in a monastery? He would appear to be under the basket if he never came out. If one is to seek theosis, I would assume that meant to seek to be like Jesus. Jesus was no monk. I really believe you Catholics have allowed your tradition to get the best of you (Rabbinic Christianity?). I think theosis is continually trying to be as close to God as possible while ministering to the world and thus helping them become closer to God. God the Son spent much personal time with God the Father during His personal ministry. He was also constantly ministering to other people. I believe Jesus is our model. The verse in Colossians addresses an obvious misapplication of religious practices (which Paul himself would have used – such as fasting). But these seem to be rebukes to those who have taken up pharisaic Judaism as a substitute for Christian practice. Christians never gave up the practice of fasting, but do so by grace with an eye to doing so properly. I’m not sure how you make a judgment that tradition has got the best of us. It hasn’t got us nearly as well as it should. I agree that theosis is conformity to Christ, by all means given to us in cooperation with grace. I’m not sure why you disparage the monastic vocation. We Orthodox find monastics to be very well engaged with the world and providing a spiritual anchor for the Church in the most difficult of times. You should be more grateful. The Bible you treasure so greatly (as well as all learning in the ancient world), would not exist today if self-less monks had not copied them letter by letter, often going blind in the effort. By the same token, their holy lives and consecration to Christ have also preserved Christianity in its truest form. The danger today lies primarily in the hands of those who have been conformed to this world. A monk praying in his cell is in far more contact with the world, and God, than those of us sitting in front of our TV sets cursing the substitute refs of Monday night football. Yes, and prayer, true prayer, creates intimate and deeply human connections that is the ultimate form of empathetic knowledge. Through the grace of the Incarnation and the communion of the saints that allows such intimacy and real understanding. The Chrisitan faith is not one of the individual seeking God, it is communion with God and with others in the same communion of love. Such reality is often overshadowed by us cursing our own referees and guides, but always present if we seek it. Monks turn aside from the consolation and distraction that the world offers in order to maximize their commmunion with God and therefore with each one of us. we must one day realise that there is a world of difference (metaphorically speaking) between a Lighthouse saving millions of lives and providing direction from afar (monasticism) and a traffic light helping out with the road-crossing (lay christianity). The monastery in Karamazov seems to have had a good deal of interaction with the village. Is that the norm? At least some are isolated, are they not? I don’t see how one can live the Christian life in continual isolation. The ancient monks were clearly very sincere. But so are many of today’s Islamists. Sincerity does not necessarily equal correctness. Jesus did not isolate Himself. You and I are never going to agree on everything because we approach the acquisition of truth differently. You believe God set up the church to function like our judicial branch of government: the approved interpreter of the law (Bible). I believe for that to be true, the Bible would have to spell that out (like our constitution does, if you will) and I don’t see where it does. I doubt this is your intent, but one might argue that you believe more in (your understanding of) the church than you do in the Bible. I’ve just never seen the monasteries as a way of life, based on my reading of Paul and the example of the Lord. I could see something like a temporary retreat, Jesus did that, but not permanent. BTW, I viewed your video. That guy is pretty good. Who is he, an alter ego? when i was growing up, if i or my siblings would “tell on” someone, my wise parents would gently take us to the side and say “worry about yourself.” those words still come to me today…btw, the new blog looks great! “(they are not Buddhists)”. As is the case so often, I find this article valuable, except for the parenthesis. I would feel highly uncomfortable making a parenthetical comment that borders on the flip (though I do not believe that that was intended) about a tradition older than and at least as complex, historically and doctrinally, as Christianity (Theravada/Southern and Mahayana/Northern is the first distinction to be made in broad strokes; to say, this is Buddhism, is in some ways as facile as to say, this is Christianity). With all due respect to all reading this, the essence of sobriety is in guarding one’s thoughts. I do not know the readers’ beliefs, but, I personally tend not to look upon various ‘man made’ “traditions” / religions (whether old or new) as comparable entities alongside that one “tradition” / revelation which is revealed by God himself; if you do not believe that however we might talk on a slightly different level. God loves and listens to the prayers of His saints. Thus the beautiful gift of monastics, those brave spiritual athletes who give their entire lives over to prayer for the world. Who knows where we would be without our dear monks and nuns! Who says the Bible was ever supposed to be a constitution like document? It took longer to compile the Bible than our country is old. Imagine not having a constitution for another 50 years. That is about the time the contents of the Scriptures were starting to settle. And those “skinny versions” are missing a few books anyway. I’d also like to know where the Bible lists the books it is meant to contain. As far as I can tell, apart from the inspiration of the Church, there is no way of discerning the proper canon. As late as the fourth centuries, there were disagreements about many of the catholic epistles, never mind the Old Testament books. Many Protestants erroneously view Eastern Orthodoxy through the broad brush of Roman Catholicism. This is understandable since the early Protestant Reformers were protesting against abuses in the Roman Catholic Church. Be careful when you say “I believe for that to be true, the Bible would have to spell that out.” Even the Holy Scriptures say “And there are also many other things that Jesus did, which if they were written one by one, I suppose that even the world itself could not contain the books that would be written.” (John 21:25) Just because you cannot find it or do not see it in the Bible does not make the belief/practice invalid. The Church wrote the Holy Scriptures. The Holy Scriptures did not write the Church & when one claims that they won’t believe anything that is not in the Bible, they are in essence doing just that. As you also noted it is a matter of interpretation. The Orthodox look through the lens of Tradition when interpreting the Holy Scriptures rather than trusting ourselves in individualistic private interpretation expressly forbidden in 2 Peter 1:20 as is so rampant among Protestantism. The common Christian, whether Protestant, Roman Catholic, or Orthodox, did not own a copy of the Canon of Holy Scripture before the advent of the printing press in the 15th c. Before that time copies were hand made which was very time consuming & thus very expensive, as another poster has pointed out. Also, there were Christians before the earlies New Testament texts were even written. It was the Church that taught & handed down the Faith for the majority of its 2,000 years. At times I find myself wishing that books were still expensive to produce. The Holy Scriptures is easily one of the most “misused & abused” texts on the planet. For an accurate account of Church History through the 15th c.: The Church In History Series: These can be bought individually ($17-30 each) or as a set. Prices can vary so shop around. Volume 3 The Truth: What Every Roman Catholic Should Know About the Orthodox Church is geared towards Roman Catholicism so you might like it as well to see the differences between the two. Though I have not read it, my evangelical brother highly recommends: Eastern Orthodoxy Through Western Eyes by Donald Fairbairn. Well said, Fr. Stephen! Indeed, many a point applies to myself 😉 Thank you, Father. Father Stephen – a beautiful post with such depth and clarity of thought; thank you once again. Regarding Buddhism: though I am not an expert, my experience is that some Buddhist practices are helpful tools when we are in a “disordered” state. Unfortunately, our culture and many of churches do not offer people these tools – and may even encourage the disorder. Of course, contemplative prayer offers similar “tools” but a great deal more as we discover what (or rather, Who) our hearts are meant to desire. Regarding monasticism: monasticism does not necessariy mean being isolated and certainly does not mean being indifferent to suffering or injustice. A contemporary example would be Thomas Merton in the RC tradition. The body has many parts – not all are hands or feet. I have 4 Philokalia books and have enjoyed them. Recently I have come across the following site that, to me, seems to really put this into daily use. The book is called Ancient Christian Wisdom and Aaron Beck´s Cognitive Therapy…comparing ancient wisdom and the latest in cognitive thinking. You can go back to the start of these blogs by going back to June 2012. I have enjoyed these articles and seems to put a touch more for the Fathers “Theoria and Praxis”. Referring to the inward and outward aspects of life in Christ. Theoria…correct ordering and control of thoughts, while Praxis…properly ordered outward bodily acts. Enjoy. I was all set to copy this wonderful prayer into my prayer book, when I opened it up and – found it there already. Talk about being blinded by passions… Thanks for the wake-up call! When I was first learning about Orthodoxy, I came across the book “Raising Them Right,” by Theophan the Recluse, and my first thought was, “What would a monastic recluse know about raising kids? !” Unfortunately, my kids were grown before I met any monks – and was astounded by their grasp of the true nature of the world and current events. 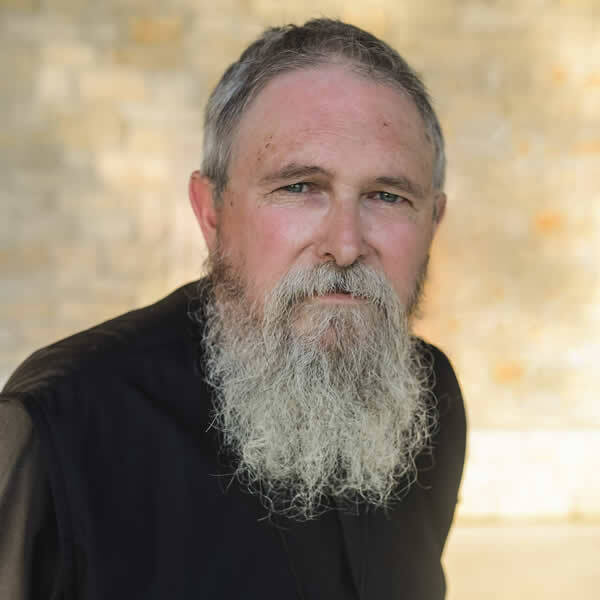 Since that first encounter with monastics, I have yet to meet an Orthodox monastic who is not completely aware, at the very least, of everything going in our society, and many have given me wise and very welcome counsel in dealing with it. And I can add, also from experience, that their interaction with society at large is very, VERY different from that of Roman Catholic monastics. Even those who see their life’s work among the fringe elements of society, are woefully ignorant of the spiritual struggle of mainstream Catholics, which is not at all the case with Orthodox monastics. I grow more and more grateful to God for bringing me to Holy Orthodoxy when He did. I am confused a bit about your statements about RC monastics. So as not to clog Fr.’s combox with side conversation, might you flesh that out for me through an email? I know next to nothing of RC monasticism except that there are a variety of groups, oftentimes at odds with one another, or so I hear, even from RCs. Or perhaps you could suggest something to read, short or long, that miht elaborate on the subject. jo533281 at gmail dot com. I’m not sure where you got this notion, but as a Catholic who goes to Catholic monasteries, I do not recognize the picture you paint. There’s no reason to make baseless pronouncements of this sort. Buddhism is no where near as old as Christianity, properly understood. We are the spiritual heirs of Abraham, who lived some 4,000 years ago. And even before Abraham, the likes of Noah and Abel the Just worshiped the Most High God. The People of God were gathered at the very dawn of time, and our history stretches back into the mists of prehistory. I too am puzzled about your negativity toward RC monastics. I tend to think it wise to avoiding sweeping generalizations – perhaps they reflect some “passions”? (which of course we all have). Perhaps you have some reasons for your feelings but some of us have different experience – and I hope we can share respectfully about such differences. Wonderful insight into our differences! Very apt. On monasteries – many of them are indeed located near villages, famously so in Romania, for example. There they are deeply interwoven into the fabric of the whole nation. Mt. Athos is unusual for its separation – though it probably has more influence on the Church than any other locale. Monasteries are a very deep part of Orthodox life. Indeed, its almost unimaginable without them. On the “guest” who drops by my house from time to time…he’s a ne’er do well who hangs around the kitchen…mooches off my dinner…and occasionally plays guitar and sings. As to an alter ego…I have disowned him too long ago to call him alter. But he is good therapy. My children (grown) are very fond of him and insist that I allow him to post a video now and again. That you perhaps see the Bible as analogous to the constitution explains much, including a view of the Apostles as being like the founding fathers, wanting to create a document. However, constitutions are new-fangled things. Surprisingly, many countries existed and flourished for centuries without one. How was that possible? The idea of a constitution was indeed because the Founding Fathers had an idea of the Bible functioning in such a manner. Oddly, England has never had a constitution and yet functions well? How is that? The Scriptures are not like a constitution for the Orthodox. They are themselves part of the Church – a written part of the Church – but not a separate part of the Church. I do not have much time this morning – but I’ll get back to this. Perhaps it’s worth a whole article. Thanks. Good conversation. Believe me, Fr. Stephen had no intenion of being “flip” with his parenthesis, nor even bording on it. In my experience the heterodox seem to come in 2 flavors in their views of Orthodoxy. 1) Orthodoxy is viewed as just another brand of Roman Catholicism due to our mysteries (sacraments), ecclesial hierarchy, canon law, doctrines (which at face value appear to be the same but usually are not) & etc. Or 2) Orthodoxy is viewed as being a New Age mystical cult (Buddhism, Hinduism, transcedental meditation…) due to our hesychast practices of innter stillness, the use of the Jesus Prayer, struggle with the passions & doctrine of theosis/deification. Fr. 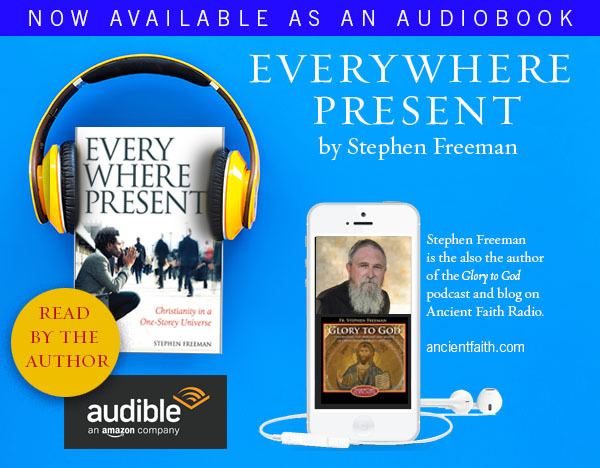 Stephen’s parenthesis was to differentiate Orthodoxy from Buddhism in the realm of dealing with the passions rather than to demean that belief system or flippancy. I think it’s a pretty big stretch to claim that Orthodoxy and Catholicism are more different than similar. Then again, most Orthodox do seem to think this way, while most Catholics do not. It’s sort of an amusing situation. Monastics retreat from the world so as not to be of it, nevertheless they are definately in it and know how to deal with it. I greatly enjoyed this post. The story you included from the desert fathers reminds me of one from Elder Porphyrios in “Wounded By Love” in which while the Elder was praying to the Theotokos out in the middle of nowhere, a fugitive who had murdered his wife approached and confessed what he had done. The fugitive asked the Elder for bread (Communion as well? I can’t remember) and then left. When law enforcement arrived the next day looking for the man, Elder Porphyrios advised he had not seen him. The Elder was convinced that when the man heard him praying to the Theotokos this moved him toward confession. Fr. Alexis Trader, the author of the books and articles you reference is very highly regarded. I could well be wrong here, but, (just like when you have one person into Heavy Metal music who loves one Metal song and hates another -while detesting all Church Hymn music- and the reverse scenario: one person into Church Hymn music who loves one Hymn and doesn’t like another -while detesting all Heavy Metal music), couldn’t the case of seeing differences rather than similarities have something to do with one’s overall involvement? What I meant is that you sometime see many more differences when you study something in depth (e.g. : Christianity) and it all seems similar to the outsiders. Re: insiders/outsiders, similarities/differences – we all come from different backgrounds in terms of culture, family, religions we were raised with or converted to, etc. and so there will always be differences. I tend to be critical thinker by nature and often see the things I disagree with when I read. What keeps me coming back to reading this blog is that I read Father Stephen and cannot find anything to disagree with! And that is a delight to my soul. It doesn’t bother me if those of you who are religious scholars can cite many differences between my RC and your Orthodox faith. I don’t deny that they may be there – or even that I might agree with the Orthodox over the RC on some or many things. However, at this stage, I don’t feel a need to look for the differences because of the joy of finding the similarities. It is like discovering a wonderful branch of the family that I didn’t know I had. (We can be family under our one Father, can’t we?) Thank you all for your sharing. As a former Tibetan Buddhist it is my observation that there is a misconception among both Christians and Buddhist regarding “No Self” in that is mistakenly taken in a very literal sense. The Buddhist doctrine of “Emptiness” or “Dependent Origination” suggests that all things arise from a multitude of interconnected causes and conditions. There are two truths associated with the doctrine. The relative truth is that things do exist, but ultimately they are empty of intrinsic independent existence sometimes appearing and sometimes not. It is seen as the “Middle Way” between the extremes of Nihilism and Absolutism. This doctrine is often used by Buddhists to refute their notions or concepts regarding the existence of God. However, it is deficient and limited when attempting to explain creation ex nihilo or ‘out of nothing’ from the One who is without origin, uncreated, and beyond space and time that dwells in Divine Darkness. The One is quite different from the gods of the Buddha’s culture, and therefore he was not able to penetrate into to the Divine Darkness through his own knowledge and wisdom. Silouan — I appreciate that you have negotiated the tricky road between holy nuance and absolute untruth. I did not quite comprehend what you explained in your comment concerning Buddism and the 2 ‘truths’ and their use by Buddhists to refute concepts on God’s existence etc…. Thank you for posting this. Please pray for us Presbyter Stephen. Bless! dinoship – The two truths are aspects of Emptiness/Dependent Origination. One truth does not negate the other. The Heart of Wisdom sutra states that ‘form is emptiness, and emptiness is not other than form’. Form is seen as evidence of Emptiness so things exist, but they are empty of any independent intrinsic existence. Emptiness/Dependent Origination posits that all phenomena are the results of an infinite chain of causes and conditions that have no beginning. It is because of this that things are assumed as not being created by a God. Emptiness/Dependent Origination is also seen as what makes change possible. The main point is that the “self” is not literary negated, but that it is understood in relation to emptiness. However, we are created for union with God and that union is love where emptiness rejects it, and the “self” that rejects that love is most alone. They do still exist, but not whole or complete. In a sense this can be seen as almost being non-existent. Yes, not self emptying love, but self love. Thank you for these clarifications, Silouan. Quite helpful. I was reading this wonderful piece written by A.W. Tozier (someone who is, perhaps, closer to your faith tradition), and I thought it worthy of sharing with you. Enoch, Noah, Abraham and Moses all walked a path quite apart from their contemporaries even though many people surrounded them. The prophets of pre-Christian times differed widely from each other, but one mark they bore in common was their enforced loneliness. Jesus died alone in the darkness hidden from the sight of mortal man and no one saw Him when He arose triumphant and walked out of the tomb, even though many saw Him afterward and bore witness to what they saw. The loneliness of the Christian results from his walk with God in an ungodly world, a walk that must often take him away from the fellowship of good Christians as well as from the unregenerate world. His God-given instincts cry out for companionship with others who can understand his longings, his aspirations, and his absorption in his love for Christ; and because within his circle of friends there are so few who share his inner experiences he is forced to walk alone. The man who has passed on into the divine Presence in actual inner experience will not find many who understand him. A certain amount of social fellowship will of course be his as he mingles with religious persons in regular activities of the church, but true spiritual fellowship will be hard to find. The truly spiritual man is indeed something of an oddity. He lives not for himself but to promote the interests of Another. He seeks to persuade people to give all to his Lord and asks no portion or share for himself. He delights not to be honored but to see his Saviour glorified in the eyes of men. His joy is to see Jesus promoted and himself neglected. He finds few who care to talk about that which is the supreme object of his interest, so he is often silent and preoccupied in the midst of noisy religious shoptalk. For this he earns the reputation of being dull and over-serious, so he is avoided and the gulf between him and society widens. He searches for friends upon whose garments he can detect the smell of myrrh and aloes and cassia out of the ivory palaces, and finding few or none he, like Mary of old, keeps these things in his heart. It is this very loneliness that throws him back upon God. His inability to find human companionship drives him to seek in God what he can find nowhere else. He learns in inner solitude what he could not have learned in the crowd-that Christ is All in All. Two things remain to be said about the man that is in this state of loneliness. First, he is not a haughty man, he is not holier-than-thou, and he is not an austere saint. He is likely to feel that he is the least of all men and is sure to blame himself for his loneliness. He wants to share his feelings with others and to open his heart to some like-minded soul who will understand him, but the spiritual climate around him does not encourage it, so he remains silent and tells his grief to God alone. The second thing is that the lonely saint is not the withdrawn man who hardens himself against human suffering and spends his days contemplating the heavens. The opposite is true. His loneliness makes him sympathetic to the approach of the brokenhearted and the fallen and the sin-bruised. Because he is detached from the world he is all the more able to help it. The weakness of so many modern Christians is that they feel too much at home in the world. In their effort to achieve restful “adjustment” to an unregenerate society they have lost their pilgrim character and become an essential part of the very moral order against which they are sent to protest. The world recognizes them (modern Christians) and accepts them for what they are. This is the saddest thing that can be said about them. They are not lonely, but neither are they saints. Dino, could we not also say that the converse is also true. That is, 99%, even 99.9% Lucifer, when confronted with 1% or 0.1% Philokalia, is a win for the latter? Thanks for posting that. Very helpful to me today. It’s good to see wolves among sheep once in awhile so that we don’t forget just how much our good Fr. Stephen cares for us. I am quite sure that if the Christian East & West were to pray the Jesus Prayer ceaselessly, the Great Schism of history would soon be swallowed up in the Lord’s Passion. I for one, have determined to do this.